I first attempted to arm knit as something to do while the football was on the television. 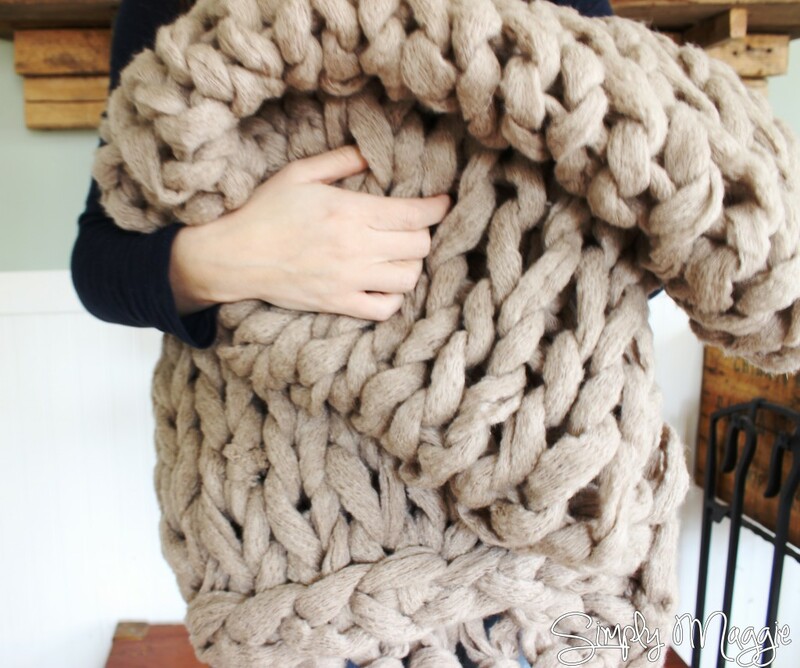 If you want to have a go at arm knitting you only need three things – chunky wool, and two arms. Arm Knitting really isn’t too difficult once you get the hang of it and I used tutorials from an arm knitting pro which were excellent. 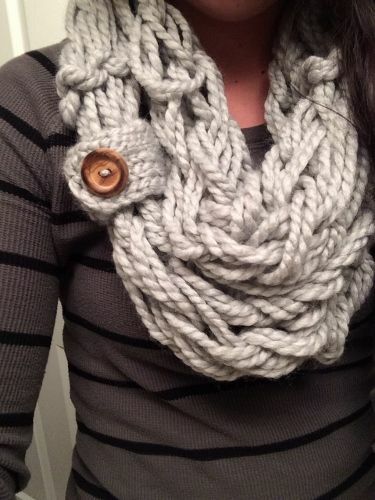 Click here to follow the tutorials from Flax and Twine. 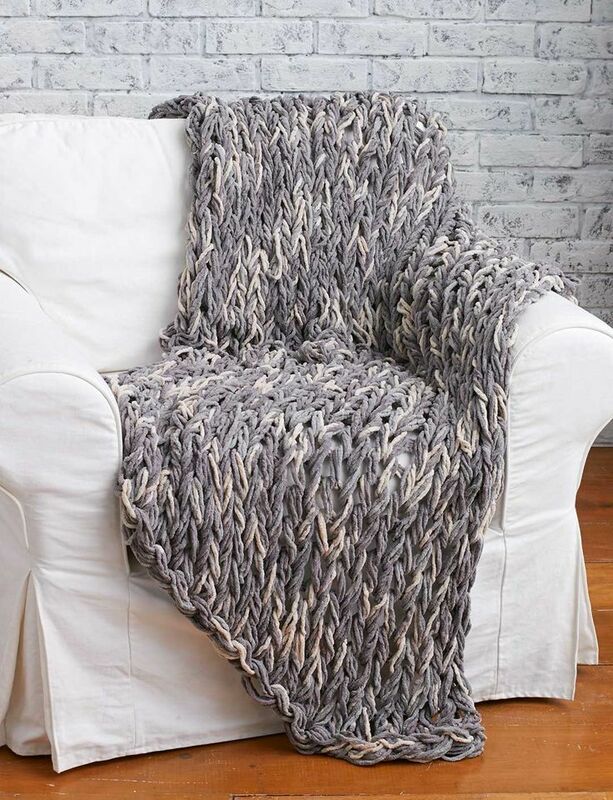 Because you are using your arms instead of knitting needles the stitches are big and chunky meaning that you can arm knit a whole scarf, or snood in little over and hour. I got my wool from B&M bargains in Ballymena. I used three balls at once to give me nice big stitches and when I was finished I sewed the ends together to make a beautiful snood. 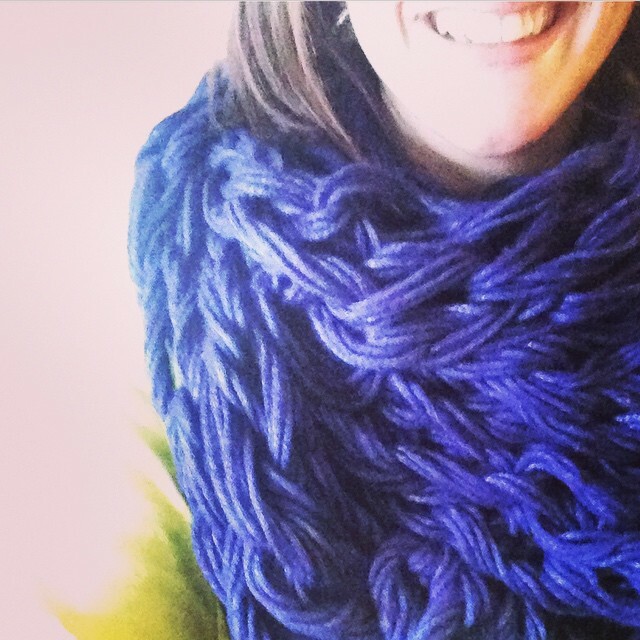 Here are some other examples of arm knitting and what you can accomplish with some practice. Lets face it Kites aren’t that expensive and can be picked up at toy shops such at Smyths toy shops, but if you are stuck inside because of the rain it would be easy to waste a few hours building one and then looking forward to a break in the rain when you can fly it. Sainsburys have a great online tutorial which will show you all you need to construct your own kite. All you need is a plastic bag, wooden dowelling, tape, cardboard and a line. Your kite can be decorated and will fill in an afternoon. Plan an outing for the next dry and windy day (we get lots of wind around Ballymena) and head out to an open space and see if your kite will fly. We suggest taking a cheap back-up kite just incase yours crashes on its first flight. Click here for more safety advice about kites. Building a rocket is not a difficult as it sounds but to make a good rocket requires a few tricky step which might be better suited to older children and adults.Although while you build a complicated rocket younger children can decorate and paint their own mini version. Wiki How have the best tutorial to build a rocket which is fuelled by vinegar and baking soda. Most of the materials will be easily found around the home and some of the more complicated bits are optional. Click here to see the Wiki How tutorial. Once you have built your rocket you won;t care if it is raining outdoors as your won’t be able to wait to set yours off, and because it is powered by vinegar and baking soda you don’t need to worry about flames, fireworks or engines. All activities should be supervised by a responsible adult – just to be sure! So these are a few things that we have enjoyed doing on a rainy day. In Ballymena our weather hasn’t been great this summer and if you need a few other ideas to entertain your household then click here to read this – Ballymena Today guide to staying entertained on a rainy day. Let Ballymena Today know if you have built a rocket, made a kite or taken up arm knitting this summer.